Chronic low back pain is a leading cause of disability, suffering and work absenteeism with nearly four million Australians reporting back pain each year resulting in direct costs of AUD 1.2 billion and indirect costs (lost productivity) estimated at AUD 9 billion. This newsletter aims to promote communication between general practitioners and other health professionals and the team at Spine Service who deal with this challenging problem. For more information about Spine Service log on to www.spine-service.org. 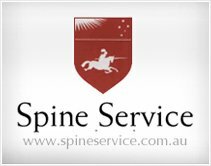 This quarterly newsletter aims to promote communication between general practitioners and other health professionals and the team at Spine Service and will comprise of news from the world of spine surgery and interesting case studies. Chronic back pain is defined as back pain lasting for more than three months. According to recent US data, low back pain is the leading cause of musculoskeletal pain, affecting 28.6% of the population. By comparison, neck pain affects 15.2%. While able to rule out pathological causes quickly, radiologists’ reports featuring words such as “disc desiccation, degeneration, annular tears, compression and bulges” can be hard to interpret and can become a source of catastrophisation for people with pain hoping to pinpoint a cause.